Fiona is your hardworking local Member for Maroochydore who has a track record of delivering for the Sunshine Coast region and a reputation for passionately advocating for her local community. After the 2017 State Election, Fiona was appointed as the Shadow Minister for Employment and Small Business, Training and Skills Development in the Deb Frecklington and Tim Mander LNP Team. Fiona grew up on the Sunshine Coast and went to local schools. She understands the pressures faced by local families and business owners and wants people to have the same opportunity to live, work and raise their families here while cherishing our region’s natural beauty. As the State Member for Maroochydore, Fiona Simpson is committed to putting the Sunshine Coast first and delivering the infrastructure needed to support the growth of our regional economy, supporting our local small businesses to grow more local jobs, easing the cost of living burdens and keeping our Sunshine Coast liveable and beautiful. She has a reputation for hard work and diligent service to her electorate and the people of Queensland. She is actively at work in the community, listening to people about how we can make our area even better. She is patron of about 20 organisations and has helped secure funding for many volunteer groups who are enriching the lives of others through community service. Cancer services on the Coast – Fiona successfully lobbied for public access for Sunshine Coast cancer patients to local treatment, saving thousands of patient trips to Brisbane. State-wide flashing school lights program – Fiona developed this LNP policy as Shadow Transport Minister which was rolled out under the LNP State Government, making school zones safer. As Shadow Transport minister, Fiona drove the introduction of the Alcohol Ignition Interlocks bill as a private member’s bill to Parliament to crackdown on drunk drivers. Fiona’s bill forced the Government to introduce its own law. Random drug testing for drivers – Fiona’s policy initiative to target drug-affected drivers with random drug testing was adopted by a former Government and introduced into law. Fiona Simpson was elected in 1992 as the Member for Maroochydore and has served in shadow portfolios such as Health, Transport, Main Roads, Tourism, Women, Communities, Housing, Aboriginal and Torres Strait Islander Partnerships and Multicultural Affairs. 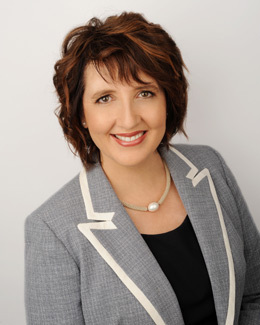 After the March 2012 win of the Liberal National Party Government, Fiona was elected to the position of Speaker, making her the Queensland Parliament’s first female Speaker in its 150 years. After the 2017 State Election, Fiona was appointed as the Shadow Minister for Employment and Small Business, Training and Skills Development in the Deb Frecklington and Tim Mander LNP Team. In addition to a Bachelor of Arts in Japanese language, Journalism and Government, she has post graduate management qualifications including a Masters in Organizational Leadership, she is a graduate from the Australian Institute of Company Directors and has undertaken an executive leadership course with John F. Kennedy School of Government at Harvard. Fiona was a key player in the formation of the LNP, a merger between the former National and Liberal Parties which she believed was important to restore conservative government in Queensland. As then Deputy Leader of the Nationals and Deputy Opposition Leader, Fiona voluntarily relinquished these roles to the former Liberal leader to help facilitate the merger. Before entering parliament, she was an award-winning journalist (Dalgety’s Excellence in Rural Journalism Award). In 2013 she was honoured to be included in the Queensland Young Women’s Christian Association’s list of 125 Leading Women. Fiona subscribes to the motto of service above self.